Accolade Film Competition, has screened at the Bare Bones International Film Festival and Myrtle Beach International Film Festival, and will screen at the Action on Film International Film Festival and HollyShorts Film Festival in August. Loosely inspired by the Wikileaks scandal of Julian Assange, “The Shifty Planet of Dr. Strange” is a dark comedy about the strange life of conspiracy theorist Edward Kelly, who, through an ironic chain of events, inadvertently becomes a cultural phenomenon when he releases top secret government documents to the press. “I am thrilled for the film to screen at The Indie Gathering. And I am incredibly honored that it won Best Student Short!” says director Ross Louis Klein. “The Shifty Planet of Dr. Strange” began as a short story by Samantha Vail, a good friend of the director at Emerson College. Ross decided to adapt it into a film for his thesis project at Emerson, and began preproduction on the film in January 2011. The film was shot for $3,500 during March and April of 2011, had a cast and crew of more than forty people, and shot at over a dozen locations, including a police station, hospital and library in Boston and New York. SURVIVING FAMILY, an award-winning new independent film from Writer/Producer Mara Lesemann (“Foreclosed”, “Jump Start”) and Director Laura Thies, will screen at the 16th Indie Gathering Film Festival on Saturday, August 18th in Hudson. In the film, Terry Malone (Sarah Wilson) is smart, beautiful, and about to marry a terrific guy. But life in her dysfunctional family - marred by alcoholism, mental illness and suicide - has left her unprepared to build the happy life that she yearns for. A visit to her family home forces Terry to face the truth about her mother’s death, her father’s life, and the half sister she never knew she had. Sarah Wilson (Blue Bloods, Damages) is nominated for the Best Actress Award, and veteran actress Phyllis Somerville (The Big C) is nominated for the Best Supporting Actress Award. Casting Associate and Executive Producer Carlo Fiorletta, who also worked as the Casting Director for the upcoming NYC Film Festival play Right on Target, will give a presentation on Casting for Film and Theater on Sunday, August 19th. The festival, which features over 125 independent, underground and experimental films in a variety of genres, runs from August 17-19 in Hudson. For more information, visit www.survivingfamily.us and www.theindiegathering.com. The independently produced, award-winning film DREAMS AWAKE will be screening at The Indie Gathering International Film Festival in Hudson, Ohio this Saturday, where it will also be picking up an award for the Best Family Feature Film. This will be the sixth award from five different film festivals that the film has thus far received. In addition, the film has been nominated for five more awards at the festival; Best Actress: Erin Gray, Best Actor: Gary Graham, Best Supporting Actor: Tim O’Connor, Best Director, and Best Cinematography. 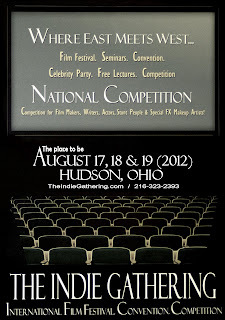 It will screen at 1:15 pm on Saturday, August 18 in Screening Room A at the Clarion Inn in Hudson. Excited that his directorial debut film continues to garner awards, Writer/Director Jerry Alden Deal’s states, “I am very honored and humbled by the ongoing recognition our film is receiving. Thanks so much for this acknowledgment.” His wife, Berry Deal, the Executive Producer, will be conducting a ‘Questions & Answer’ session after the screening. The production company, Way to Go Media, is an exciting, new film development company dedicated to making independent films with metaphysical themes through illuminating and powerful stories. For additional information about the film, go to the film’s website at www.dreamsawakemovie.com. For information about Way to Go Media, visit the company’s website at www.waytogomedia.com. 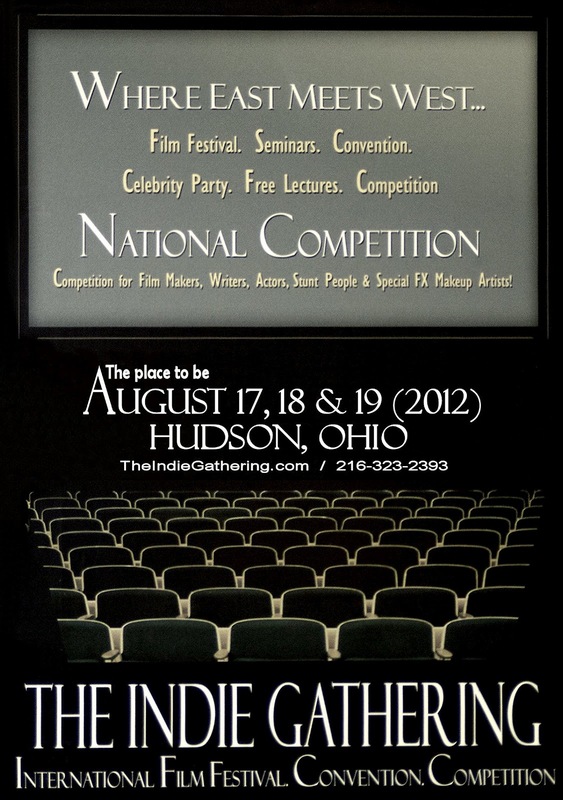 Absurd Productions Pictures is proud to announce the screening of its latest film, Forbidden Room, at the 2012 Indie Gathering. The short film, a mystery in the tradition of Alfred Hitchcock, also received an honorable mention award at this year’s festival in the Suspense-Thriller- short category. Absurd Productions Pictures specializes in original works of fiction across all genres. This is the third straight year that Absurd Productions Pictures has received an award at the Indie Gathering. In 2010, Taste of Desperation finished first in the Drama-Crime category; and last year, Out There received an honorable mention in the Horror- Short Category. Several cast members and production people will be in attendance.